Learn the underlying language of music! Learn note names, scales, sharps and flats, intervals, simple & complex chords, key signatures and rhythms. Not only will you learn theory, but how to use it creatively, and why it is important. Master Music Theory so you can make better music faster! You know something about how to use Ableton Live. Perhaps you are already making some dope beats. But when it comes time to put your fingers on the keyboard, do you feel lost, pecking out two finger bass lines at random util you stumble onto something you like? Music Theory is specifically designed to help you learn how music works, and is ideal for anyone new to music theory. Not only will you learn the basics, but also the fundamental theory concepts that provide deeper, and more useful understanding. And you will learn by practicing things like scales and chords. In this fast-paced two week course, you will experience over 3 hours of super-crisp, streaming HD videos. You can watch these on-demand and can access them for a full year after signing up for the course, giving you plenty of time to absorb all the content. This course is jammed full of practical knowledge, explantations, and concise breakdowns of why things work the way they do. And with the included supplemental exercises on practicing scales, building triads and larger chords, this material will continue to be fruitful and aid your music making skills for years to come. 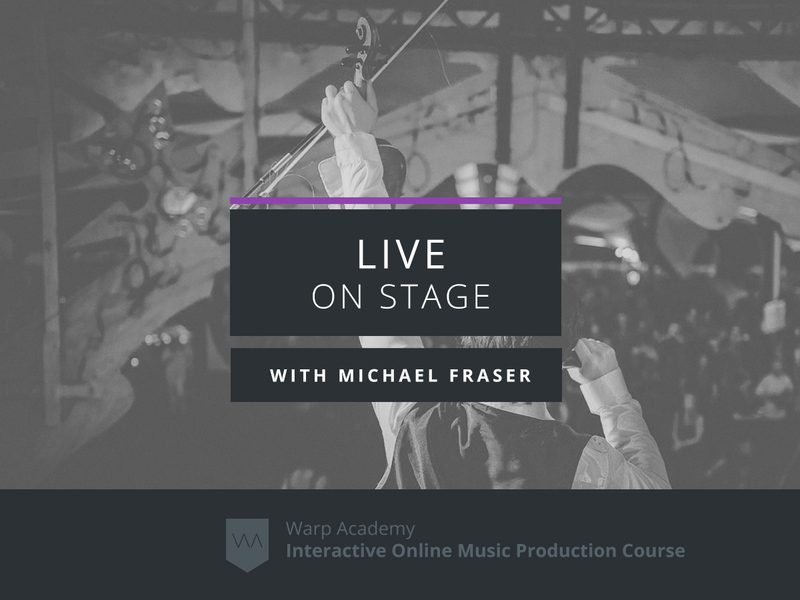 Over 3 hours of in-depth, super-crisp, streaming HD video instruction training with Michael Maricle, Ableton Live Trainer, musician and recording artist. Downloadable Ableton Live Projects, PDFs and exercise videos used in the instructional material so you can easily follow along and refer back to them when it is over. Student discount pricing (20-60% off) on third-party software from our partners! Identify notes on the keyboard. Play and build scales from any note on the keyboard, including major, minor, and chromatic scales and more. Build triads, including major, minor, augmented, and diminished, as well as how to invert them. Recognize notation symbols, including notes, rhythmic values, tempo and dynamic markings. Have a complete understanding of keys and the Circle of Fifths. Have a complete understanding of rhythmic values and time signature, from the simplest to most complex. Have a complete understanding of intervals, from seconds to thirteenths. Build and invert 7th chords, 9th chords, 11th chords and many more. Play various interesting and exotic scales from around the world. Apply music theory concepts like intervals, scales and triads, to a Push controller. Warp Academy’s Michael Maricle has been teaching piano and music theory for nine years; is a recording artist and composer with over ten album releases to date; has been playing piano since he was four; has composed music for films, commercials, and modern dance performances. We want you to feel as excited as we are about anything you buy on this site. If you’re not 100% happy with your purchase within the first 30 days – for any reason – we’ll refund it, plain and simple. Access to a computer with a broadband internet connection. A working copy of Ableton Live (any version) is recommended. A MIDI keyboard controller is highly recommended. Weighted keys is also recommended. Beginner. You do not need any previous experience of Music Theory to take this course. At the same time, if you know some music theory, this course will fill in all the gaps in your understanding. 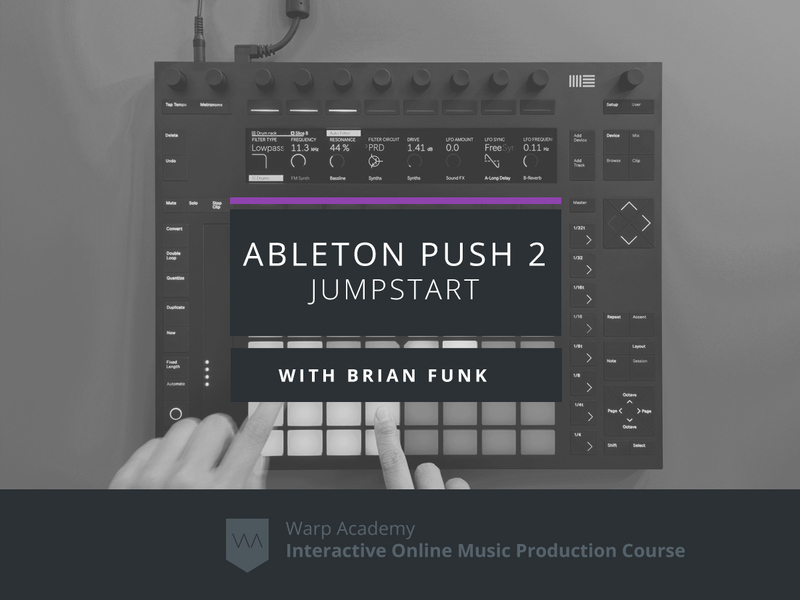 This course is taught through Ableton Live, although you can do just as well with any DAW and a controller keyboard. 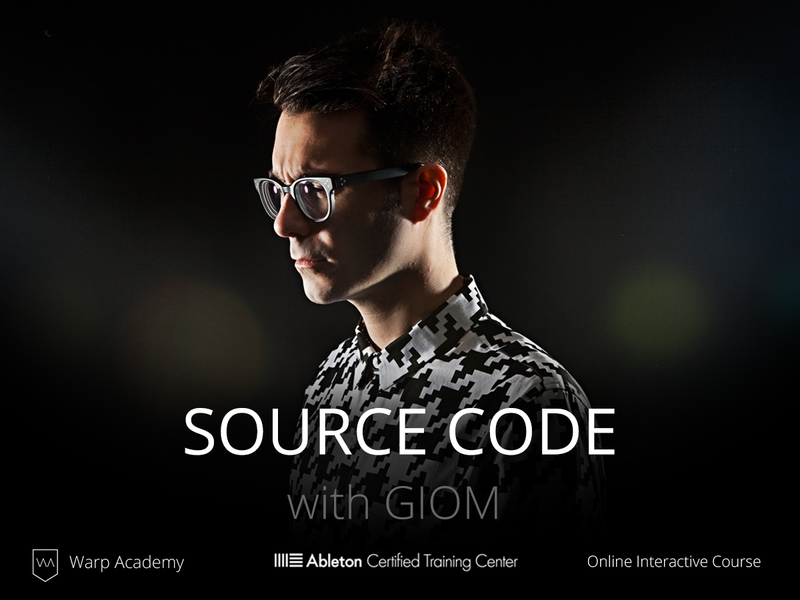 Any version of Ableton Live, or any DAW for that matter, can be used with this course. 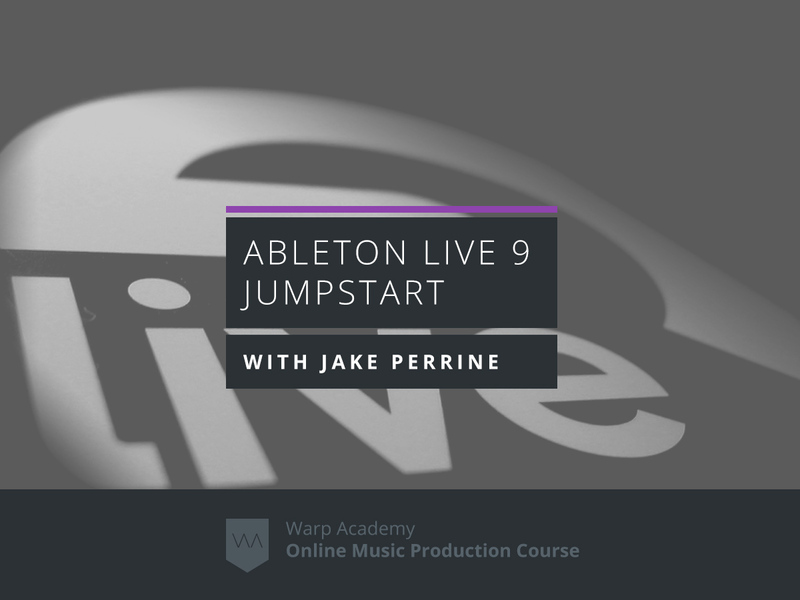 A demo of Live is available at Ableton.com, though be sure and wait until the course begins if you go this route as it will expire after 30 days. In a word – yes. 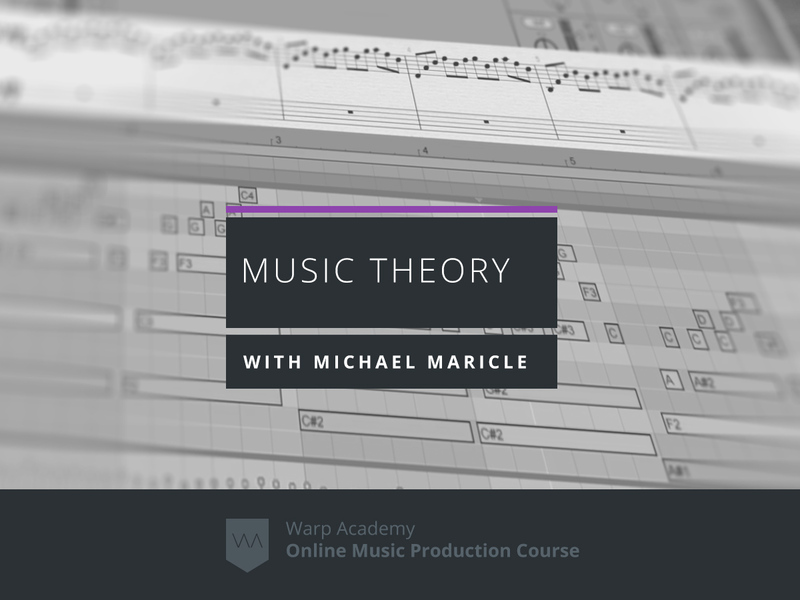 This course is designed to teach the basics of Music Theory, and that is applicable to any and all genres of music making. No we don’t offer downloading of the videos. The videos are available as on-demand streaming HD players that you can access from a computer or virtually any mobile device. Yes, a broadband internet connection and computer are required. Minimum requirements are obviously the ability to run Ableton Live, so any computer with Mac OS 10.5 & Windows XP or newer should do just fine. Do I need a controller keyboard? Yes. A controller keyboard is necessary to get the most out of this course. Weighted keys is even better! Whether it be on the piano, in the studio, or on the dance floor, Michael Maricle is devoted to creating music with purpose. He has toured with West Coast jam bands, played in electronic ambient projects in San Francisco, and has been active in the Seattle music scene since 2001. Michael has composed music for films, commercials, and modern dance performances. He also composes for the Monroe Institute, creating binaural beat music for focus, creativity and learning. Michael has released ten albums since the year 2000 in a variety of musical styles, including electronic, downtempo, pop, ambient, neo classical, instrumental piano, and dance music. His sweetly crafted melodic sounds transport the listener through transcendent worlds of imagination, emotion and stillness. By day, Michael works as a musician at the University of Washington Department of Dance, and in the evenings he teaches piano and composes music in his studio in Seattle.